PBOT has asked the state for a trial of new speed limit zones they say would reduce collisions. Of all the ingredients that make up a dangerous roadway environment, most pundits and policymakers agree that speeding is one of the biggest threats. 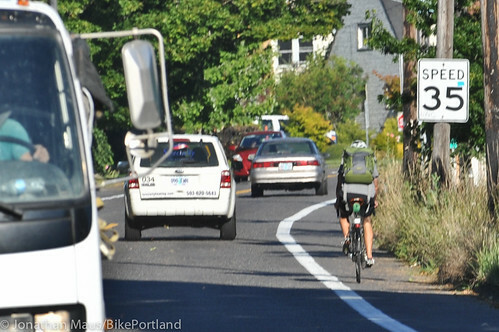 At a meeting of transportation advocates hosted by Portland Mayor Charlie Hales and Bureau of Transportation Commissioner Steve Novick earlier this month, the scourge of speed was a constant thread through the discussion. The talk is there; but words alone will not make people slow down. While groups working on Vision Zero are scheming about a public marketing campaign and Mayor Hales has said he’ll have city workers sign a “Travel With Care” safety pledge, PBOT is waging their battle against speed on two other fronts: the use of fixed photo radar cameras and an attempt to wrest some control of local speed limits away from the state. If both or either of the these efforts are successful they could have a major impact on traffic safety. House Bill 2621 is a major legislative priority for the city this session. If it passes, it would allow PBOT to install a total of 20 cameras on “high crash corridors” (streets with an above average rate of collisions) over the next three years. If all goes according to plan, official state estimates reckon the new cameras will result in 274,000 additional citations between 2015 and 2018. That could lead to a potentially significant change in road user behavior (not to mention a much-needed revenue stream). Will it pass? On paper, it looks like HB 2621 is on life support; but supporters remain optimistic. But will it run out of time? The session is only expected to last another two weeks (June 26th is the targeted session end date) and HB 2621 has still not even been heard by the Senate. It passed the House Transportation Committee in April but was referred to the Ways and Means Committee (due to it having a financial impact) and just last week it was moved to the Ways and Means Subcommittee on Public Safety. Sources say it will pass out of that committee any day now and that support exists from both parties in both chambers. The (legislative) clock is ticking. Right now, the Oregon Department of Transportation holds all the cards when it comes to setting speed limits — even on streets that are managed and owned by cities. PBOT can request changes on a case-by-case basis; but they want broader authority. The City already notched a victory on this front in 2011 when they won the legal right to set speed limits at 20 miles per hour on residential streets where bicycling and walking are prioritized (a.k.a. neighborhood greenways). Currently, when ODOT’s Speed Zone Review Panel gets a request to change a speed limit, ODOT engineers do an investigation to determine if it’s “safe and reasonable” to make the change. It’s not surprising that ODOT engineers might have a different idea about what’s “safe and reasonable” than PBOT engineers do. Streets where people walking, biking, and driving share the same space, should not be posted greater than 20 mph. To go along with these changes, PBOT also wants to collect data, work with the Police Bureau to do random enforcement of the new speed limits, and produce a report showing how the changes have affected roadway safety. With Burchfield no longer at PBOT (he left back in March), this effort to set new speed limits has been handed over to Margi Bradway, PBOT’s Active Transportation Division manager. For this effort to succeed, Bradway needs to not only convince ODOT of its merits, she’ll also need to find funding in the budget to ramp up enforcement. PBOT can’t rely on cameras alone to handle all the rampant speeding. We’ll know more about this effort next week when PBOT is scheduled to make a presentation in front of the Speed Zone Review Panel in Salem. Stay tuned. I’ve been openly critical of PBOT and Mayor Hales for being all talk and no action when it comes to Vision Zero and I’m eager to change my tune. Should be 20 MPH maximum speed, not 30 MPH. 30 isn’t awful, and far better than what many locations currently have. 30 would be an acceptable interim step on the way to 25 or 20. Novick’s comment “I think that we, as drivers, need to think of slowing down as an investment in our community safety” actually bothers me more – it’s a nice sentiment, but the problem is there isn’t any messaging to drivers to get them started thinking that way. How do we get drivers to want to slow down? To whom is ODOT beholden if not the grandma or the child or the adult or the toddler who wants to cross a street!? A few years ago the City of Coburg (a few miles north of Eugene on I-5), started enforcing the speed limit on I-5 by ticketing those exceeding 85(yes 85) mph. There were so many complaints about the “speed trap” that a Eugene legislator introduced a measure that would have limited the amount of ticket revenue collected by Coburg. The legislation didn’t end up going anywhere, but many people clearly believe their right to drive as fast as they like is guaranteed by the Constitution. This is great! We know we have a speeding problem but we can’t slow people down (reduce speed limits) because it costs too much. Lewis Carroll had nothing on these clowns (and I don’t mean Margi Bradway). From what I’ve heard, when ODOT wants to rethink a speed zone on a road, they look at the speed that 85% of drivers travel and set it around that. So if you’ve got a road that’s 35mph and most people drive 45mph on it, when ODOT does a study on that road they are likely to raise the limit to 45mph. I know. And this is quite common. But I guarantee you that is not how Sweden or anywhere else that takes Vision Zero seriously does things. If we can’t get through to ODOT on this then I hold out very little hope. Thanks so much, Jonathan, for this excellent piece! This is the standard rule of thumb for traffic engineers globally. Every modern study of road design and speeding says that if you set a speed limit below the 85%, all you get is people ignoring the speed limit. Worst case this can often actually make a road more dangerous, as speed differentials increase. You have to actually design the road from the outset for the speeds you want, or add traffic calming features like curb extensions, speed bumps, etc, so that you can bring the 85% number down. 9ft wide lanes, maybe between jersey barriers. Drivers need to feel as threatened by their own speed as all other road users feel by their speeding vehicles. The reason for the reduction to the Morrison bridge is the very poor surface that was put on the bridge. Speed bumps should have been put in when the speed was dropped because technically the bridge is condemned while it is being fixed. Exactly, dave. Chuck Marohn over at the Strong Towns blog would call speed cameras on these types of roads predatory. If the road is designed to make drivers feel safe and comfortable going 60, but then it’s signed for 25, that’s just asking for speeders. If we want slower roads, we need to engineer them that way. “When the infrastructure cannot be upgraded, at reasonable costs, to the standard required for the existing speed limit, the appropriate action is to reduce the speed limit.” Page 83, “Speed Management”, OECD, 2006. Speed bumps needed on Morrison like Edgefield had. 12″ long and 5″high. That could put jacked up 4X4 drivers out through the roof. I never see any traffic enforcement on SE Hawthorne, where many people drive 35-40 MPH in what is now a 25 MPH zone. And you shouldn’t discount motorists running red lights as another major hazard to cyclists, I see motorists doing this regularly, I can rely on seeing at least two or more instances of flagrant red light running by motorists on my six mile one way commute almost every day. They have a van every 6-12 months or so and it flashes continuously when its there. Hawthorne is also terrible when it comes to drivers yielding to walkers at unmarked crosswalks. Yep, that van is continuously there, probably at least three times a week (usually during the evening). Never seen it on any of the bike routes in my life (Clinton, Lincoln, Ankeny, etc). Also never seen a bike-cop (specifically assigned to enforce traffic) anywhere around any of the greenways. They say you should pay attention to actions and not words, and when you’re trying to figure out the city and PPB’s priorities and who they want to keep safe and generate money from, it tells you all you need to know. i’ve noticed a significant increase in aggressive driver behavior on hawthorne. i’m not sure what is going on. 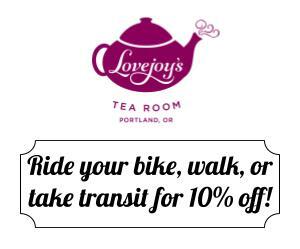 Like you said on last week’s KBOO Bike Show, Jonathan (and I’m so glad that you did! ), speed enforcement sidesteps the REAL issue, which is streets that are designed (by 1950s-era traffic engineering guidelines) to move cars at VERY high speeds. 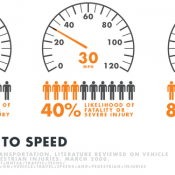 If you want slower speeds, don’t design streets in which it’s easy to drive 40 mph! We need to have as many streets re-designed in the Dutch woonerf style as possible. This *automatically* keeps speed down by making everyone hyper-aware of everything in their field of vision. Plus, such streets are absolutely BEAUTIFUL. Well. Except that enforcement and signage could in principle happen tomorrow and should at least pay for itself (I know it doesn’t and there’s reasons folks object to the whole speed traps raise money thing that I think tends to be a red herring), while redesigning streets takes a huge amount of time and money. So let’s be careful how quickly we jump clear of speed limits and enforcement. If European cities can adopt a 20s plenty rule why on earth can’t we!? We are turning our gravel road into a woonerf style street, using logs to create an 18ft right of way! With PBOT’s and our NA’s permission. And there is nothing in the law that says it has to be an unsaved street! 18 foot right of way, or 18 foot wide street? 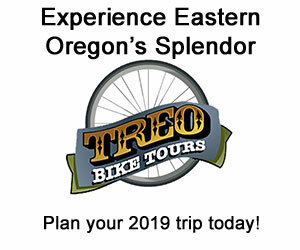 We started out by reading https://www.portlandoregon.gov/transportation/63612 which gave us an initial contact. After talking to a few people I am 99.9% of the way there (finger’s crossed) as in all adjacent signatures on an Encroachment request and unanimous approval at the NA livability meeting (after a round of feedback on my drawing in an early meeting). The policy I’m working under seems to be based on street classification and auto traffic level, and the rules governing design of “temporary” encroachments. (18ft minimum auto width with pedestrian walkway.) Nothing in the package seems like it can’t apply to paved streets that meet the requirements. Anyone with low traffic streets may be eligible for an encroachment permit. I don’t know yet, I don’t even know if I’ll get the one I’ve been working on for a year. However I do know this: If I get something cool at my house after a year of pushing, I really wish other people could get it without having to work so hard. So if any tech people wanna work with me I have an idea for a Twilio app plus mailer campaign that could make opt-in to a neighborhood park as easy as dialing a number. My approach only requires a long 3+ foot round log (like at a playground) and some metal feed trough planters. So if you and your neighbors want to spend at most a couple thousand bucks you can calm and green your street legally. I think. The recipe is: get all the adjacent signatures (the city can help you figure out what the means in your case). And also get feedback on your drawing from the NA association, and then approval. If you have that you have all the consensus boxes checked, and since you aren’t asking the city for money… hopefully they can streamline the process of neighbor initiated traffic calming and we can all feel a little safer letting our kids play in the street. Insurance markets could play a role. People willing to plug one of the company’s dongles into their car computer can prove they don’t speed and command lower rates. Rates could then go up on chronic speeders and aggressive drivers. But what if those people are not causing accident? Insurance companies know how unpopular that would be, which is why those dongles explicitly don’t track speed (and say so prominently). They only track acceleration and how hard the driver brakes, which are a better correlation to risk than absolute speed anyway. I clicked through a bunch of other states, and didn’t see speed listed for any of them. What’s tracked and what’s used to score you are likely two different things. I wouldn’t be surprised if they track a max and average speed per trip, even if they don’t use it in the actuarial equation they apply to your rate. I mentioned this in an earlier story, but it’s more related to this one. We are asking for a 20mph school speed zone on either side of a busy intersection on a 35mph arterial near us. But we are hearing now that there are developers on the outskirts of the area who have made significant financial contributions to try & keep the speeds on this particular road high, with little interruption, so that the buyers of the houses they are building will be able to get to work quickly (nevermind the fact that the intersection itself will probably affect their travel time more than the school speed zone would). The point is, it sounds to me like travel priority on this street is being BOUGHT by developers with deep pockets, and it has nothing to do with the kids who have to cross it. It would be interesting to see some proof of this, some documentation. Crazy if true. Word of mouth from a very high ranking county official. I don’t believe the city is engaged in a battle against speeding. I think they are sitting around complacently watching an increase in speeding by motorists. As I’ve pointed out before on this forum, there is very little traffic enforcement. According to the PPB Annual Report, there were 50,000 “citizen contacts” by the Traffic Division personnel. That’s 140 “contacts” per day. There are 51 sworn personnel. It works out to 3 citizen contacts (citations or warnings) per day per officer. I know the PPB Traffic Division has lots of other responsibilities, but fewer than 3 citations per day per Traffic Division officer hardly seems like a “battle” to me. How many of the sworn personnel do traffic enforcement and how many are supervisors? One DUII takes 2 hours to process – 1/4th of one officer’s 8-hour shift. But only 1,880 of those were DUII ( only is an interesting word, only 1880? 5 a day is way too many ). I provided a link to the report. Page 12 specifies 1 captain, 1 lieutenant, 7 sergeants and 42 officers. I reiterate: there’s not much enforcement! We’re never going to get to Vision Zero without some ENFORCEMENT! 42 officers or 42 positions? All Filled? 42/3 is 13 per shift for the whole city. And don’t forget the time they have to spend on non-enforcement activities like paperwork, training, court, etc. Seriously PPB, try issuing an appropriate amount of speeding tickets, then tell us you’re engaged in battle. Start with one road, ticket the hell out of it until that road gets a reputation. Then move to another road. On a related note, PBOT has been soliciting input regarding lowering the speed limit on NE Freemont from Sabin residents. I imagine this is extended to other neighborhoods on Freemont as well. Now would be a good time to let PBOT know, either directly or through the NA if you are in favor of lowering the speed limit from 30mph to 25mph or lower. Fremont can’t go lower than 25, except in a business district, by state law. Thanks for pointing this out. The request that I read was for lowering the speed limit to 25mph. I imagine that you know the requirements to have an area designated a business district. I don’t, but for all practical purposes, the section of Freemont between MLK and 15th should be considered equivalent to a business district given Irving park, and the businesses and foot traffic in this area. If there is not a way to work with the state law, then we should advocate for state law to be changed to allow for lower speed limits where bike and pedestrian traffic has increased. A business district is defined in law. about half of the land use next to the road has to be used for commercial purposes. Is there a minimal distance of road that has to be occupied by half businesses to be considered a business district? Is N Williams a business district? The state has approved rescinding the speed order on N Williams. What I discovered this week is Portland Police Bureau offers no easy way to inform them about areas where speeding motorists create safety hazards. On Wednesday, I found this (http://imgur.com/Rb0PWfN) blocking my driveway – an out-of-control motorist slammed into this parked truck. Three months prior at this intersection, another motorist lost control and hit three parked cars (all were totaled). These crashes were caused by drivers who speed through the intersection. People drive through the Burnside/Gilham stoplight like they’re in an episode of the Dukes Of Hazzard. On PPB’s website, they instruct people with traffic safety issues to contact PBOT. Passing the buck, that’s great! PBOT will redesign this intersection…in who know how many years. Because there aren’t always serious injuries with these crashes (in this week’s wreck, the driver fled the scene), it doesn’t show up on PBOT’s radar. So I went to the PPB building at 47th/Burnside in hopes of talking to someone. I found a locked door and a sign that read “due to personnel shortages, this building is closed” (which reminds me, to a certain person running for city commission who has written essays about how we should fire police officers to hire teachers….I’m not voting for you). Enforcement is a big part of this. Speed cameras and local control is great, but neither will be implemented or be on the ground any time soon. Make people know that if they speed they will get caught and the fine will hurt, and people will slow down. Another parked vehicle not wearing a helmet or reflective clothing. Somebody ought to introduce a bill to make this stuff mandatory. The car had lights though, right? That truck had no business being in the road. Roads are dangerous. This truck had the nerve to park itself near an intersection too! Got what was coming to it. Yeah, that truck should have used some common sense. When are trucks going to learn? 823-SAFE took over intake for speeding complaints from the Police several years ago. It is logged into the service request database and forwarded to the precinct for enforcement. You can request an officer follow up with your regarding their investigation. You should have a specific concern and time of day for the officer to investigate so that resources can be focused as best as possible. Another thing that many people don’t understand is that Vision Zero focuses efforts on where fatal and injury crashes are happening and the types of behaviors that resulted in those types of crashes. Property damage only crashes are usually not the focus of this effort. Where that truck was sitting is exactly where I stand waiting for traffic to clear (and counting to five to wait for the numerous red-light-runners). I’m on a bike. Should that happen while I’m standing there….nah I don’t want to think about that! I would rather speeders start getting numerous, hefty fines so I don’t become a statistic. I was also nearly hit at this intersection last year (by a PPB police car with no flashing lights completely running the red light, thanks to Jonathan for pushing buttons to get the precinct commander to personally call me back and apologize), and am alive only because I sprinted out of the way. And if it means anything, PBOT says there have been twelve motorist injuries here over the ten-year period. Did the truck crash during a time of day pedestrians typically wait at that location? Crashes late at night often pose the most serious consequences to those doing the crashing, particularly single vehicle crashes. 12 crashes over ten years is high if a couple thousand people enter the intersection each day (crash rate = 1.76), pretty low if it is 10,000 (CR = 0.35). PBOT’s threshold is 1.00 crash per million entering vehicles (pmev), meaning a crash rate over 1 triggers a review of the types of crashes to see if there is a pattern and an engineering change that could reduce the crashes (regardless of severity). 35 crashes over 10 years at a 10,000 entering per day intersection would be 1.03 crashes pmev. 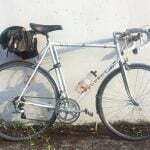 I went for an in-the-city ride yesterday for the first time in a while, and out of a half-dozen near misses I experienced or witnessed, not one of them seemed to have anything to do with speed. All of them did seem to come down to a delicious mix of inattentive operators (often on both sides), poor infrastructure, and most often, just too many people trying to move through the same space at the same time. Good to see the city starting to engage on these issues. Speeding is definitely an issue. It’s the 3rd most-cited cause of near-misses reported to NearlyKilled.Me, after inattentive drivers and insufficient infrastructure. You can see a live-updated graph here. 2012 fatals per 100,000 of 5.1 compared to Oregon of 7.8 and US of 10.7. We don’t need more “programs” or “urgent meetings.” We want RESULTS. What metric do you propose? There are some factual errors in this article. The speed zone review committee does not do investigations – ODOT engineers usually do that, using prescribed methods in OAR 734.0015.020. The alternative method (Section 3) is the change being pursued, not the authority to set speeds. IMO, the current method skews toward auto mobility. -Crash history on a corridor needs to be higher than typically found on similar corridors to consider speed reduction for safety. -It’s not just the 85th percentile speed, but the free flow (non-peak) 85th that is the standard for consideration. -The current methodology mentions other factors (land use, geometry, pedestrians), but is obscure regarding the importance of such factors. IMO, the proposed methodology focuses on the safety of all users of the right of way and the risks they face if involved in a crash – and it is still a work in progress. Thanks paikiala. I made some minor edits to reflect this. I appreciate you pointing that out. 2 YEARS potentially, just to bring a few blocks down to the speed that the other blocks of the same road are doing. I’m a pinko-liberal-commie-big-government-is-good-type, but PBOT really needs more local control over the roads it has jurisdiction over. Multnomah is exempt from the alternative method – Federal Functional Classification rule. Taking a stand against fixed photo radar is basically saying “I want people to drive through these intersections at unsafe speeds”. Amazing (and depressing) that people think it’s OK to take that stance. Fixed photo radar is on corridors. Photo red light enforcement already exists and is at intersections. 30mph would be ok with buffered bike lanes and absolutely strict enforcement. The lack of perceived safety when biking or walking is what keeps people driving their cars even for ridiculously short trips. I think a lot of it comes from noise levels (even at 30mph, it’s far more pleasant to be 15ft from the road — but with anything faster, it’s nicer to be in a car with the windows closed.) 20mph (not 25, not even 22) is an ok speed for shared space. If you’re applying lessons from Europe, remember 30kph = 18.6mph. I agree that lower speed crashes have preferred outcomes. Lower speed differentials can have lower crash rates. Lower speeds, in and of themselves, do not necessarily result in fewer crashes. The complexities of the urban environment, and Portland in particular, was, I believe, the impetus for the change in methodology proposal and rule. Pragmatically, reducing speeds too fast is likely to result in a backlash and shouts of ‘speed trap’. IMO the proposed changes are achievable under the current political system, and significantly shift the methodology away from an auto-centric evaluation. -no street in Portland posted higher than 40 mph unless opposing auto traffic is separated by a barrier (head-on crashes) and pedestrians and cyclists are protected by a barrier. -no street in Portland posted higher than 30 mph unless separation between auto and pedestrians or cyclists is provided (5-10 foot minimums). -no street in Portland where autos pedestrians and cyclist must share the space posted higher than 20 mph. This is a great start. Does it have support by the mayor and city council? Wednesday council meeting before Wednesday review board presentation is, I think, the adoption of vision zero goals. Item 615. Those goals sound like a good first step if speed limits are enforced. With the 40-in-a-30 status quo, the noise 10ft away is very unpleasant. At 50, even biking on the other side of a barrier won’t be chosen over burning cheap gasoline in comfort. Being passed on a bike boulevard at 30 seems to be what we have on Clinton now. … the supposed $20 million price tag for a stop light and our hand wringing about who should pay for roads, I can’t imagine Portland managing to do separated infrastructure correctly. Slowing down traffic is simple and cheap. Granted there is still danger, but it would be much safer with more people biking, which many would do if it didn’t make them feel like Portland hates them for biking. Can you provide an example of this. You’re an incredible optimist if you truly believe this. NYC recently adopted a 25 mph default speed limit and PBOT asks for 30 mph. in 2014, yes, recently. Playing catch up with Portland. Burnside and SE 20th are a short walk from my home and are signed at 35 and 30 mph respectively. And I’m not blaming PBOT — I’m blaming Portland’s milktoast city council. Quit spending money on roads with such terrible compliance. ODOT recently resurfaced a rough patch of N Lombard and I’d be willing to bet that area will see an increase in average speeds. Dont forget that potholes are also a bicycle issue. 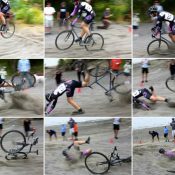 Roughly 1/3 of bicycle related injuries are collisions with stationary objects, and the number one object for this type of collision is a pothole. Cornell though Orenco is a good example of the idiocy out here in the western burbs. The whole Orenco area is flourishing with new development, shopping, etc. Yet the Main road (Cornell) right though the smack dab middle of everything is 45mph. Most people are doing 50+ based on when I drive through there. I avoid biking on it at all costs. Cornell is basically a highway. Hwy 26 isn’t a useful connector, so everything between 8 and 26 (i.e. where all the population and destinations are) transits Cornell. I don’t think that’s so bad, really; there is a need to move high volumes of vehicle traffic along something near that route, and so we might as well put all the “thru” traffic on Cornell. I don’t mind bicycling on Cornell, but adding separated/protected bike/walk-ways would be nice, since there aren’t any parallel streets that give a good alternative route along its entire length for other modes. Easy and cheap: If someone is killed on a road, close the road to private motor vehicles for five years. And push unsafe volumes of traffic to everywhere but that road? And cause lots more directional conflicts and turns around the closed area? Divert traffic away from signals and safer infrastructure onto streets with less-safe traffic controls? And get higher accident rates all around the closed area so they have to be closed, too? I guess it wouldn’t take long to close the entire city to private motor vehicles, which I suppose some would consider a win. And if someone crashes a bike on that street, close the road to bikes for five years. I for one would love to see speed bumps on the Burnside Bridge, drivers seem to just floor it because it seems like an open space. Major Emergency Response Route – traffic calming not permitted. Also, city policy does not place traffic calming on roads classified higher than Neighborhood Collector. Burnside is a Major City Traffic Street – 2 levels higher. Sounds like a perfect place for some fixed speed cameras! if it meets the conditions of the law – a high crash corridor. First, I am extremely annoyed to find out that ODOT has the ultimate say on street speeds even when they’re not theirs. Typical for ODOT though, talk a good game but keep it business as usual. Second, i can not support the Camera bill. Anything that is Portland-centric is unfair to the citizens of the rest of the state. Why not spread those 20 cameras over 4-5 cities throughout the state? Why does Portland have to get everything? first one, two words, speed trap. Second one: which part of the bill limits fixed speed cameras to Portland? Education, Enforcement, and Engineering. you have to address all three issues. And as it stands right now, education seems to be the biggest hurdle. There are people that believe speed limits signs are merely suggestions, people don’t know what many of the infrastructure markers are, and the test to obtain a driver’s licence isn’t about ability to drive, but how well you know “the basics”. I’ll have to look for it, but I recently saw a graph where speeding was the number one contributing factor in automobile collisions at about 34% of all collisions. Higher than drunk driving and distracted driving. And that those 3 issues put together accounted for 87% of all collisions. Which is why I feel infrastructure and engineering actually plays a very small roll on how safe the roads are. You can’t design around impaired driving or distracted driving. And even speeding can not be fully addressed by engineering alone. Engineering may help, but the effects of infrastructure are only as good as it is supported in other ways with education and enforcement. And the sad truth is, is that the only thing that is really being explored for nearly all transportation issues right now is engineering. I’ve been pondering the education side. I don’t think we can address the left hook crashes without it. Teaching good judgement, patience, and care is so important but one of those things I don’t think we can infrastructure our way out of. The converse of this idea is that “we as drivers need to think of speeding as an irrational and useless waste of energy”. I would wonder whether slowing to existing speed limits would “extend” anyone’s commute. What we need are signals that are timed to match the speed limit, as that has seemed to me to be the limiting factor in the length of any trip. It doesn’t matter if I can go 60 mph in between lights if I have to stop for 30 seconds at every intersection. There are no safe routes to schools. There is no (meaningfull or effective) enforcement anywhere in or near Portland. Anything that can be struck by a speeding motor vehichle, in time, will be. I have respect for all those who attend listening sessions and neighborhood meetings- but there is obviously no political will at the state level to slow down drivers. It is not a priority, and there is no battle for such in Portland. 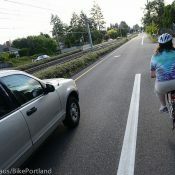 Those cashing paychecks as traffic engineers for ODOT do so with blood on their hands, and a mechanism to hide behind. There is zero vision and thousands of unqualified uneducated selfish drivers who live in a limited space. This is another point of “attack” in the battle that could be made in very short order. More rigorous requirements for getting a license in the first place, ongoing updated testing for renewals, and more strict monitoring/enforcement for unlicensed (suspended/revoked) drivers. c) Introduce legal measures such that if you prove yourself to be a pathological driver, you know your car (and any car you attempt to drive or acquire in the future) is subject to removal from your possession, along with other penalties. None of this would need to cost the State anything, as the costs would be borne by those who thought they wanted to get a license. Make it cost something and the privilege won’t be taken for granted as much. THIS. So very, very much. We need to try to get our elected legislators to ALSO work on this prong of attack on the woeful driving in our state. There also needs to be some way to get new Oregon residents up to speed with our laws and regulations much faster!! There are so many people living, working, and driving in Oregon who haven’t changed their licenses to Oregon. Ah yes, I hear my song being sung! …he types, after returning from a lunch ride whereupon witnessing a “Student Driver” turning in front of a pedestrian in a crosswalk without use of a turn signal. Think of how much revenue would come in if more speeding tickets were issued. Slowed traffic and money towards bike lane improvements would be a win win (unless you’re the recipient of a ticket but lesson would be hopefully learned).